Leisure Village East – an active adult community in Lakewood NJ. Call 732-616-6226 when you’re ready to see active adult community homes in Leisure Village East, Lakewood NJ. Leisure Village East is a gated community in Lakewood. 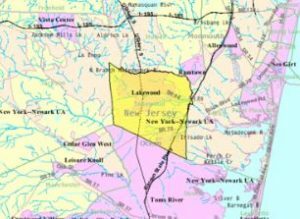 Because it’s conveniently located near the Garden State Parkway, it has a great location. This community offers attached homes with condo ownership. As a result, the association is responsible for the exterior maintenance.A monthly association fee includes use of the clubhouse and common areas. Also included is lawn maintenance, snow removal, trash removal and exterior maintenance of the homes. Enjoy local activities such as fishing, boating, golf, shopping, dining and much much more. In addition, your pets are welcome here. Built in the early 1970’s, there are over 1400 homes in Leisure Village East, with 5 different models. Generally, the homes are between 630 sq ft to 1690 sq ft. They have either 1 or 2 bedrooms, 1 or 2 baths, and some have a 1 car garage. Every home is a single level, ground floor home, as a result there’s no stairs. The heart of the community is the clubhouse, with a wide range of activities and clubs offering something for everyone. Also an outdoor pool, lake – and don’t forget the 9 hole golf course. Shopping and dining are nearby, and Ocean County mall in Toms River is less than 10 miles away. Leisure Village is near the ocean and Barnegat Bay or you can take in a Blue Claws ball game in First Energy Park in Lakewood. There is also a community bus.